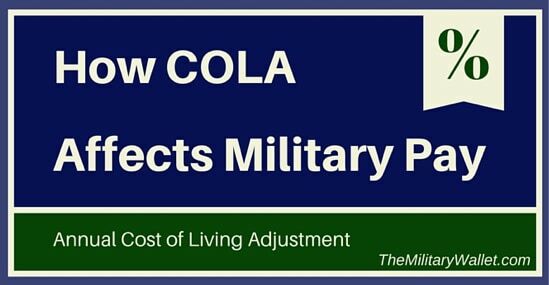 The term COLA, or Cost of Living Adjustments, is a commonly used term for military and veterans benefits. But the term can be somewhat confusing because it can be used in different contexts. The most common uses for the term COLA, as it relates to military and veterans benefits, include COLA adjustments for retirement pay and veterans benefits such as VA disability compensation, annual cost of living increases for military base pay, and location-based COLA. Let’s look at these separately. 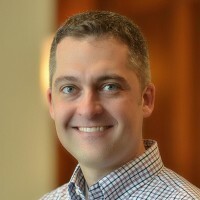 The Cost of Living Adjustment rate used by the Social Security Administration affects military retirement pay, VA disability compensation, and several other types of government compensation. This COLA is given to offset the impact of inflation on the purchasing power of the affected benefits. It is based on the percentage increase in the Consumer Price Index for Urban Wage Earners and Clerical Workers (CPI-W). The CPI-W is based on a survey of over 80,000 goods and services and is determined by the Bureau of Labor Statistics in the Department of Labor. An increase in the cost of goods and services covered by the index results in an increased COLA the following year. If there is no change or a decrease in the cost of goods and services, there is no increase in the COLA. The good news is a decrease in prices does not result in a decrease in benefits. This is a good thing, because the CPI-W showed a negative inflation rate, resulting in no COLA increase in 2016. So military and veteran compensation for certain benefits will remain flat instead of increasing as they do in most years. Social Security Benefits – (learn how your military service affects your Social Security Benefits). You can read more about SSA COLA here, and on this page. Military members receive a pay increase in most years. This is often referred to as a military pay raise, annual Cost of Living Adjustment, or other terms. Unlike the previous section, there is no automatic pay raise, and while Congress takes certain measurements into consideration when declaring pay raises, they are not tied to the CPI-W or any other specific measurement. Instead, Congress votes pay raises into effect each year. Pay raises can vary based on the annual inflation rate, how military salaries and benefits compare to civilian compensation, and other factors. In most cases, military pay raises are applied uniformly to all pay grades. However, there have even been times when Congress passed pay raises that targeted individuals in select pay grades. These instances happen when there is a larger perceived pay gap in the civilian sector. The final type of COLA is location based. This is a supplemental benefit added to military pay. Location based COLA is given to offset a higher cost of living based on where the servicemember lives. This can be commonly found in OCONUS locations depending on the cost of living, the exchange rate, and other factors. COLA can also be found in certain CONUS locations. COLA can vary on a monthly basis in both CONUS and OCONUS locations. This is a non-taxable supplemental income. It can vary on a monthly basis based on exchange rates, cost-of-living, and other factors. The service member’s rank, years of service and number of dependents also determine the COLA payment. Here is an Overseas COLA FAQ. This is a taxable supplemental allowance designed to help offset higher prices in high-cost locations in CONUS that exceed the costs in an average CONUS location by 8 percent or more. The program affects over 25,000 Service members in 21 Military Housing Areas (MHAs) and 23 other counties in CONUS. (source – Defense Travel Management Office). There you go – you now have the information needed to understand the basics of how and why COLA might affect your military pay, retirement benefits, disability compensation, Social Security Income, or other benefits.